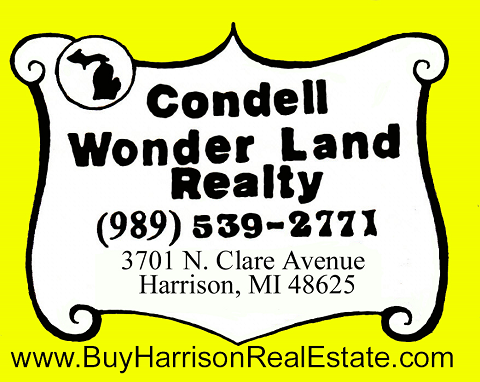 Condell Wonder Land Realty is happy to supply you with the following links that may assist you in finding out information on Harrison and Clare County Local Government, Harrison area lakes, and area Associations, Harrison area ORV trails and snowmobile trails, County Subdivision plats, Property tax information, and State and Governmental information. We hope this information will help you when buying or selling your Northern Michigan property. Any questions contact us.